SONISCREEN uses ultrasound to create a low-amplitude, high-acceleration vibration in the mesh, preventing clogging and easing the passage of granules smaller than the mesh size. Tests can be carried out using your products. Contact us for bespoke sieving. – A titanium ultrasound transmitter is fixed, via a resonator, to a support ring, normally circular or elliptical in shape. The vibration is therefore transmitted across the entire surface of the sieve frame. Its high frequency prevents clogging of the mesh and therefore improves the overall output of the separator. – The ultrasound generator is of the “auto-tuned” type, which automatically identifies the ideal operating frequency for the frame, the stainless steel mesh and the resonator ring (together known as the “acoustic unit”). 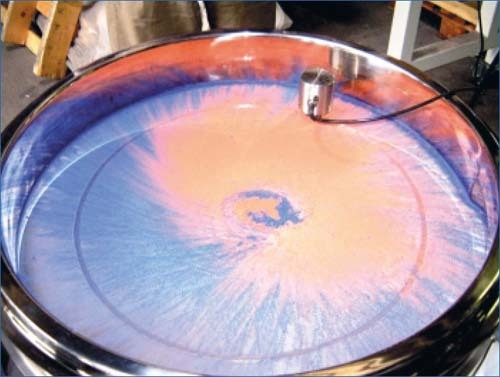 – Soniscreen is particularly recommended for fine powders, sieved with openings smaller than 500µm. 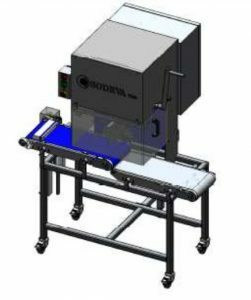 Offered as an “OEM” accessory on our various ranges of separators, the patented Soniscreen system is easily adapted to any type of rectangular or circular sieve.